During an intracerebral hemorrhage, bleeding within the brain creates a pool of blood called a hematoma. 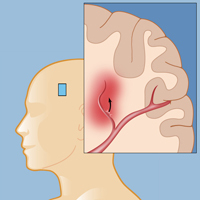 In this illustration, the bleeding is within the brain tissue itself, a kind of stroke called an intraparenchymal hemorrhage. An intracerebral hemorrhage (ICH) is a type of stroke, called hemorrhagic stroke, or “brain attack.” Its name refers to the bleeding (hemorrhaging) within the brain (cerebrum) caused by a blood vessel that ruptures and creates a pool of blood called a hematoma in the brain. As the bleeding continues the hematoma gets larger, increasing the pressure inside the brain; the compression of the brain can cause damage to the brain and lead to neurological deficits, unconsciousness, or even death. Intracerebral hemorrhage is a relatively uncommon form of stroke – it causes only 10 to 15 percent of all strokes – but that still means 100,000 new cases in the United States each year. It is more disabling and has a higher mortality rate than ischemic stroke, and it can occur at any age. It is slightly more common in men than in women. The damage caused by an intracerebral hemorrhage depends on the location of the bleeding – each part of the brain is responsible for a different function, so a hemorrhagic stroke will show its effects on the part of the body controlled by the area of the brain affected. Depending on the location and severity of the stroke, an individual may suffer partial paralysis or numbness, vision loss, personality changes, memory loss, or changes in cognitive abilities. Some of these effects may be at least partly reversible with speech or physical therapy. In more severe cases, intracerebral hemorrhage causes permanent brain damage and loss of function, or death. The stroke caused by an intracerebral hemorrhage is different from the more common type of stroke, which is called an ischemic attack. An ischemic attack is caused by a blockage in blood flow to the brain caused by carotid occlusive disease or other condition that prevents blood from reaching the brain. People who experience an intracerebral hemorrhage tend to be younger than those who have ischemic attacks, which more commonly occur in older adults. Intracerebral hemorrhage can occur at any age. 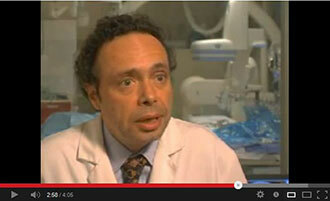 There are three types of intracerebral hemorrhage. The most common is a subarachnoid hemorrhage, which occurs under the arachnoid layer on the meninges (the protective layers around the brain and spine). These subarachnoid hemorrhages usually occur as the result of an accident or other head trauma, or an aneurysm. An intraparenchymal hemorrhage occurs within the brain tissue itself and is usually the result of high blood pressure (hypertension), a tumor, a cavernous malformation, or an arteriovenous malformation (AVM). 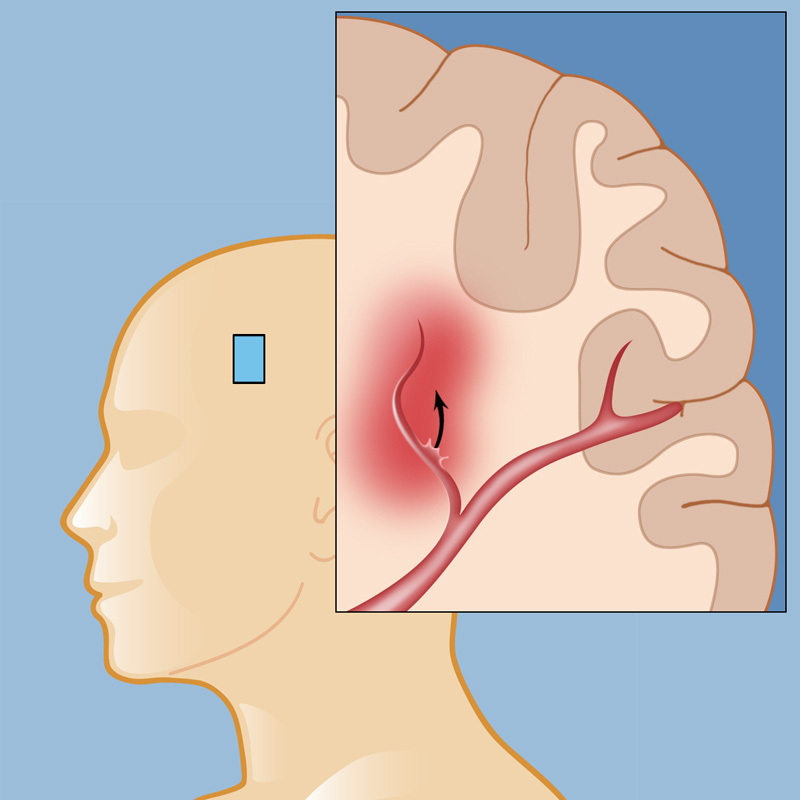 An intraventricular hemorrhage occurs in the ventricles of the brain and is usually caused by a vascular malformation. Hemorrhagic stroke can also occur as a result of the blood thinning that comes with regular aspirin use or the use of anti-coagulant medications such as Coumadin (warfarin). Individuals who smoke, drink, or take illegal drugs are also at increased risk of hemorrhagic stroke.